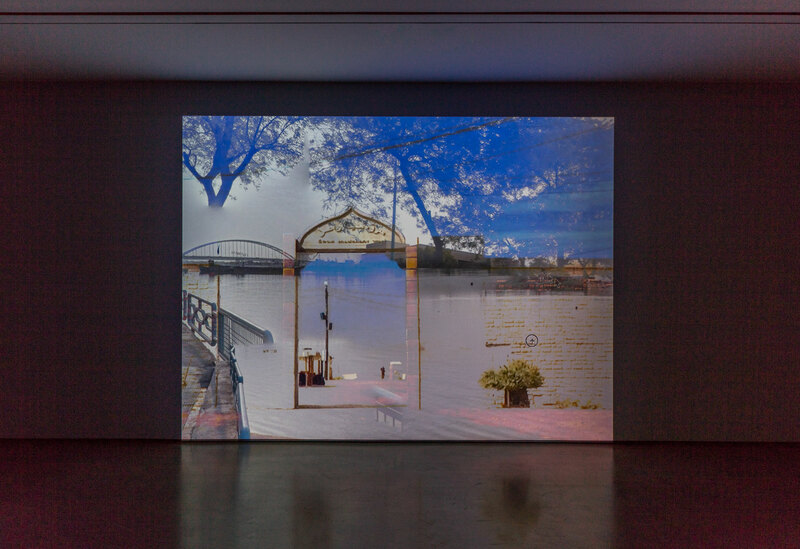 Gelare Khoshgozaran explores the personal and political effects of displacement and the potential for transnational intimacy through video, performance, installation, and writing. Her film Medina Wasl: Connecting Town was shot mainly in the small towns of Mecca and Thermal, in the Coachella Valley, as well as US military bases in the California desert, including the Fort Irwin National Military Training Center. The size of Rhode Island, Fort Irwin houses many so-called Middle Eastern combat towns, including one known as Medina Wasl, where troops engage in simulated battles in the intense desert climate. 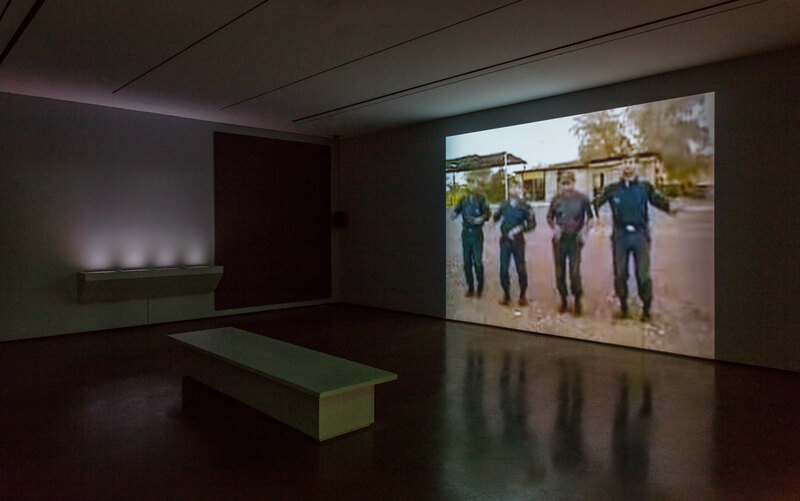 Medina Wasl: Connecting Town looks at the history of orientalist traditions, landscapes, and imagination that has persisted over time in California’s Mojave Desert and at the lineage of the militarization of the Middle East. 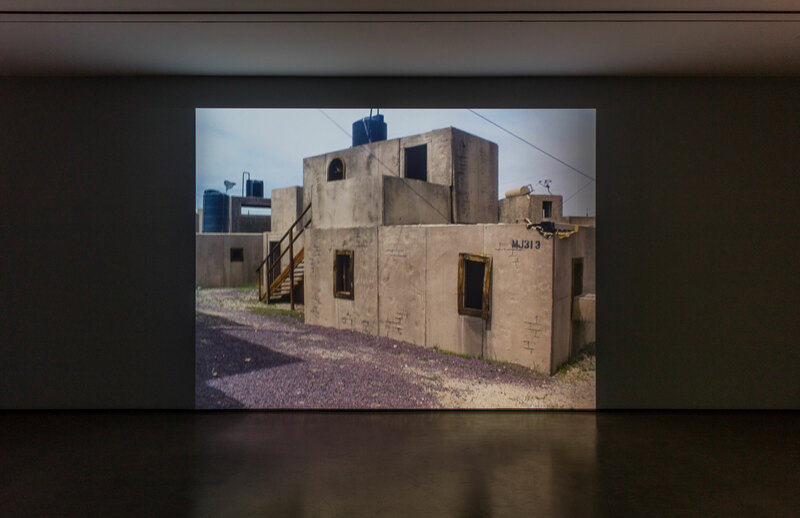 Dressed as an Iranian soldier from the Iran–Iraq War, Khoshgozaran documents the areas in the desert that have been built to resemble the Middle East for military, industrial, commercial, and entertainment purposes. This footage is overlaid with her interviews with US war veterans about their memories of the landscape in the different parts of the Middle East where they were deployed. Throughout the piece, palm trees serve as a visual reference that connects Khoshgozaran’s memories of the Iran-Iraq war to the militarized Southern California desert. 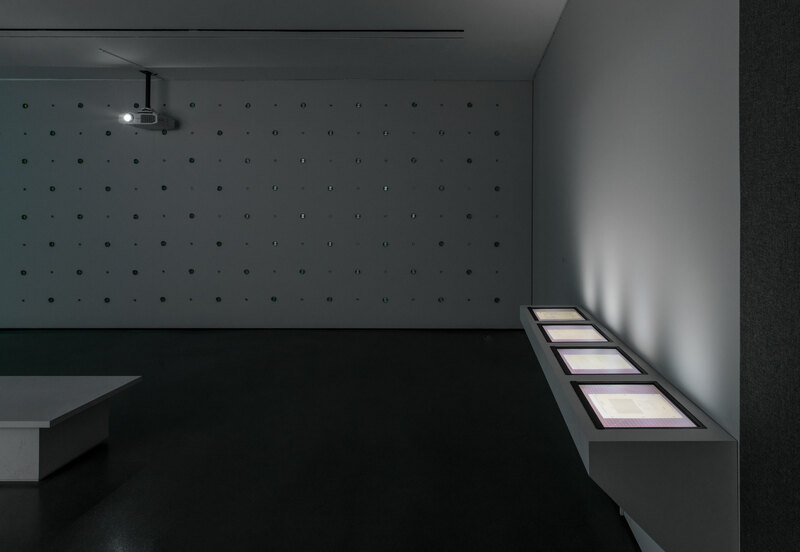 The film Medina Wasl: Connecting Town is accompanied by several monitors that feature a stop-motion 16mm animation of declassified National Security Agency documents regarding the events of the Iran–Iraq War. A wall installation of steel drum closure bungs alludes to oil, an often contentious natural resource that has been the conduit of warfare in the region. Through the lens of Edward Said’s influential book Orientalism, Khoshgozaran’s project examines the role of fiction and speculation in the West’s construction and representation of the Middle East, and the continued violence enacted through the War on Terror’s conflation of languages, landscapes, cultures, and geographical territories. Gelare Khoshgozaran (b. 1986, Tehran, Iran) works in the Mount Washington neighborhood of Los Angeles. Khoshgozaran received her BA in photography from University of Arts in Tehran, in 2009, and MFA from University of Southern California, in 2011. Recent solo exhibitions and performances include Los Angeles Contemporary Exhibitions (2017); Human Resources, Los Angeles (2016); Los Angeles Municipal Art Gallery (2016); and the Queens Museum, Flushing, New York (2016). Her work has been included in group exhibitions and screenings at LAXART, Los Angeles (2017); Pori Art Museum, Finland (2015); and Galeri Nasional Indonesia, Jakarta (2013). She has had residencies at the Museum of Contemporary Art in Tucson (2017), Echo Park Film Center (2017), Krannert Art Museum (2016), and Santa Fe Art Institute (2016). She is the recipient of an Art Matters Award (2017), a Rema Hort Mann Foundation grant (2016), The Andy Warhol Foundation Creative Capital Arts Writers Grant (2015), and a California Community Foundation Fellowship for Visual Arts, Emerging Artist Fellowship (2015).